Works for flute and oboe, by Madeline Dring, Michel Damase, Alberto Ginastera, Léo Delibes, Eugene Bozza and Gustav Holst. Nancy Ambrose King, oboe, is the first-prize winner of the Third New York International Competition for Solo Oboists, held in 1995. She has appeared as soloist throughout the United States and abroad, including performances with the St. Petersburg, Russia, Philharmonic, Prague Chamber Orchestra, Janacek Philharmonic, Tokyo Chamber Orchestra, Puerto Rico Symphony, Orchestra of the Swan in Birmingham, England, Festival Internacionale de Musica in Buenos Aires, New York String Orchestra, Amarillo Symphony, Cayuga Chamber Orchestra, and Sinfonia da Camera. She has performed as recitalist in Weill Recital Hall and as soloist at Lincoln Center and Carnegie Hall. She has recorded eleven CDs of works for the oboe on Boston Records, Cala Records, Equilibrium, Naxos and Centaur Records. Recent releases include “IllumiNation” featuring concertos by Scott McAllister, Michael Daugherty, and Alyssa Morris; the “Halle” Trio Sonatas of G.F. Handel; “Global Reflections” recorded with the Prague Chamber Orchestra and featuring the works of Strauss, Skalkottas, Sierra, and Foss, as well as the premiere of Jennifer Higdon’s Oboe Concerto with the University of Michigan Symphony Band. She also recorded a Youtube video channel, “Trois Trios/Deux Duos” with colleagues Jeffrey Lyman, bassoon and Martin Katz, piano, and can be heard performing on the Athena, Arabesque, and CBS Masterworks labels. She was a finalist in the Fernand Gillet Oboe Competition held in Graz, Austria, and has been heard as soloist on WQXR radio in New York City and NPR’s “Performance Today”. She is on the faculty of the Sarasota Music Festival, has appeared as a recitalist throughout the world and was a member of the jury for the esteemed 2009 Barbirolli and the 2016 Muri, Switzerland Oboe Competitions. Ms. King has written a highly successful e-book for Apple I-Tunes titled “Making Oboe Reeds from Start to Finish with Nancy Ambrose King”. Her playing has earned high praise from a variety of critics, including the American Record Guide: “Marvelously evocative, full of character, sultry and seductive, with a soft-spoken, utterly supple tone, and as musically descriptive as any I have heard…a fine exhibition of thoroughly musical oboe playing”; "She plays not only with delicacy, but also with an intense, almost rapturous sound that is second to none in expressivity and gradation. Delightful!". "...a lovely player with a tone that surpasses that of most other American oboe soloists. It defines delicacy, yet is strangely assertive, like a soft-spoken woman who nonetheless speaks up strongly when her mind is made up. ", Fanfare: “Nancy Ambrose King is clearly a skilled musician of great promise, with a sterling technique”, and The Double Reed: “…thoughtful, expressive, and perfectly controlled performance of consummate accuracy. It’s not that she makes it sound easy-she makes it sound perfect”, "Ms. King's fluid technique, combined with clean and accurate articulations, makes the most complex passages flow and sounds effortless. Combine these aspects with a beautiful tone and a sensitive touch in the lyrical passages, all oboists have a new level to which to strive." 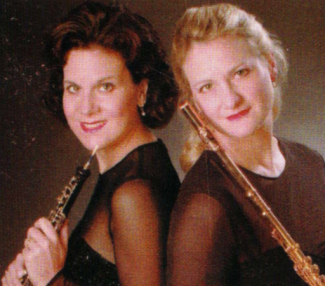 Currently Professor of Oboe and Chair of the Winds & Percussion Department at the University of Michigan, she was previously Associate Professor and University Scholar at the University of Illinois, Urbana-Champaign and served as the first female President of the International Double Reed Society. She is on the faculty of the Sarasota Music Festival. She has also served on the music faculties of Indiana University, Ithaca College, University of Northern Colorado, and Duquesne University Schools of Music, as well as the Idyllwild Music Festival, Bowdoin Music Festival, Marrowstone Music Festival, Strings in the Mountains of Steamboat Springs, and the Hot Springs Music Festival. Professor King received her Doctor of Musical Arts, Master of Music, and Performer’s Certificate from the Eastman School of Music, studying with Richard Killmer. A graduate of the University of Michigan with a Bachelor of Music degree where she studied with Arno Mariotti and Harry Sargous, Ms. King was the recipient of the school’s prestigious Stanley Medal and was honored with the 2010 Hall of Fame Award and the 2018 Harold Haugh Teaching Award by the University of Michigan School of Music, Theatre and Dance. Acclaimed as "a pianist of poetry, elegance, and power" (American Record Guide), "a pianist of exceptional, cherishable finesse" (Los Angeles Times), and "one of those rare pianists who combine structural intelligence with a hundred color gradations" (Village Voice), Phillip Bush has established a performing career over the past three decades that is noted for its remarkable versatility and eclecticism, with a repertoire extending from the 16th century to the 21st. Since the launch of his career upon winning the American Pianists Association Fellowship Award and subsequent New York recital debut at the Metropolitan Museum of Art in 1984, Mr. Bush has appeared as recitalist throughout North America as well as in Europe, Asia and the Caribbean. His Carnegie Hall concerto debut with Oliver Knussen and the London Sinfonietta was hailed by the New York Times for its "impressive last-minute heroics," as he substituted for an ailing Peter Serkin on short notice in concerti by Stravinsky and Alexander Goehr. Mr. Bush has also appeared as soloist with the Osaka Century Orchestra, Cincinnati Symphony, Houston Symphony and a number of other orchestras, in repertoire ranging from the Beethoven concerti to the American premiere of Michael Nyman’s Concerto for Harpsichord. 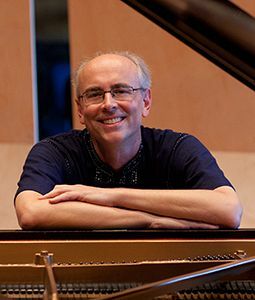 Phillip Bush is widely acknowledged as one of the most experienced American chamber music pianists of his generation: the Kansas City Star referred to him as "the ideal chamber musician." He has performed and recorded with the Chamber Music Society of Lincoln Center, appeared innumerable times on Brooklyn's Bargemusic series, and has performed at the Grand Canyon Music Festival, Newport Music Festival, Bridgehampton Chamber Music Festival, Cape Cod Chamber Music Festival, Strings in the Mountains (Colorado), Sitka Music Festival (Alaska), St. Bart's Music Festival, Music at Blair Atholl (Scotland), Cape May Music Festival, and at many other festivals. He has collaborated in recital and chamber music with concertmasters and principal players of many of the world's great orchestras, including Berlin, Chicago, Los Angeles, Metropolitan Opera, Philadelphia, New York, Cleveland, and Houston. Mr. Bush has also made guest appearances with the Kronos, Miami, Parker, Jupiter, Lutoslawski, and Carpe Diem string quartets, and has performed with members of the Emerson, Guarneri, Tokyo, Orion and St. Lawrence quartets. Over a ten-year period, Mr. Bush performed over 250 concerts in Japan with the piano quartet "Typhoon", including several sold-out performances at Osaka Symphony Hall and Tokyo's Bunkamura Orchard Hall. He recorded five CD's wth the group for Epic/Sony, all of which reached the top of the Japanese classical charts. From 2007 to 2015, he served as Artistic Director of the Bennington Chamber Music Conference in Vermont, the largest (over 300 participants and 50 faculty) and oldest (founded 1946) institute for amateur chamber musicians to study with professional concert artists. A devoted advocate for contemporary music, Phillip Bush performed worldwide for 20 years with both the Philip Glass Ensemble and Steve Reich and Musicians, in venues ranging from the Sydney Opera House to the Acropolis in Athens. He has also worked first-hand directly with many of the most significant American composers of our time, from John Adams to Charles Wuorinen. The New York Times has said "Mr. Bush may be one of the few pianists who can play both Elliott Carter’s music and Philip Glass' with equal persuasiveness." Mr. Bush's efforts on behalf of contemporary music have earned him grants and awards from the Mary Flagler Cary Charitable Trust, the Aaron Copland Fund, ASCAP, Chamber Music America and the National Endowment for the Arts. His discography as soloist and chamber musician has now reached over 45 recordings on labels such as Sony, Virgin Classics, Koch International, ASV, New World Records, Denon, Cedille, and many others. Mr. Bush is a graduate of the Peabody Conservatory, where he studied with Leon Fleisher. From 2000 to 2004, Mr. Bush taught piano and chamber music at the University of Michigan, and he has also served as Visiting Faculty at the University of North Carolina. Since 2012 Phillip Bush has been a member of the piano and chamber music faculty at the University of South Carolina School of Music.